BevNET Live Santa Monica will feature a conversation on audacious innovation with the co-founders of Ripple Foods, a company that is seeking to simultaneously alter the course of the dairy business and fight climate change on a massive scale. Ripple was founded by Adam Lowry and Dr. Neil Renninger, a pair of veteran entrepreneurs who looked to the dairy aisle as a place where they could have the most significant environmental impact while also creating the most financial opportunity. Their theory: that by making a large-scale bet and innovating on the sourcing end, they could avoid the push-and-pull of incremental innovation to create a disruptive change. The product they came up with, Ripple, is a plant-based, low-sugar milk alternative that seeks to emulate the creaminess of real dairy milk. Launched early this year, large chains like Whole Foods, Sprouts, and Target have already started stocking Ripple on a national level, and it has collected more than $40 million in investment to fund its growth in the past 12 months. Lowry and Renninger will talk about the design of their organization and instruct the audience in some of the ways of they have designed a strategy for thinking about disrupting an entire beverage vertical, from choosing the category, to refining their ingredients to deciding the right retail approach. Focusing on the “whys” and “hows” of the discussion, attendees will understand how, like Ripple, they can think of innovation in terms of far-reaching goals, and not simple adjacencies. The pair bring to the event not just the momentum of their current venture, but also deep, award-winning experience in creating sustainable, conscious businesses that have been disruptive in their fields. Lowry was a co-founder at Method Products, an important CPG focused on creating environmentally-conscious and design-driven home care, fabric care and personal care products, while Renninger was the Chief Technology Officer at Amyris, a publicly-traded renewable products company that creates products in health and nutrition, personal care, and industry. BevNET Live Santa Monica will take place on Dec. 5 and 6 at the Loews Santa Monica Beach Hotel. 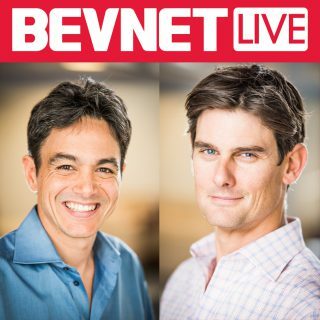 Tickets and Sponsorship opportunities are still available for BevNET Live, which will also feature the 12th edition of the New Beverage Showdown, as well as Beverage School, taking place on Dec. 4 at the Loews Santa Monica Beach Hotel.